The ArajsKommando (also: Sonderkommando Arajs), led by SS commander and Nazi collaborator Viktors Arājs, was a unit of Latvian Auxiliary Police (German : Lettische Hilfspolizei) subordinated to the German Sicherheitsdienst (SD). It was a notorious killing unit during the Holocaust. Viktors Arājs was a Latvian collaborator and Nazi SS officer, who took part in the Holocaust during the German occupation of Latvia and Belarus as the leader of the Arajs Kommando. The Arajs Kommando murdered about half of Latvia's Jews. Latvian Auxiliary Police was a paramilitary force created from Latvian volunteers by the Nazi German authorities who occupied the country in June 1941. Composed of local fascists, rightist members of the former military and police, and nationalist students, the organization participated in the Holocaust, looting and killing the local Jewish population. One of its units, the Arajs Kommando, was notorious for killing 26,000 civilians during the war, mostly Jews, but also Communists and Romas. During World War II, the Nazi German Einsatzkommandos were a sub-group of five Einsatzgruppen mobile killing squads – up to 3,000 men total – usually composed of 500–1,000 functionaries of the SS and Gestapo, whose mission was to exterminate Jews, Polish intellectuals, Romani, homosexuals, communists and the NKVD collaborators in the captured territories often far behind the advancing German front. After the outbreak of war with the Soviet Union with Operation Barbarossa, the Red Army began to retreat so rapidly that the large Einsatzgruppen had to be split into dozens of smaller commandos (Einsatzkommandos), responsible for systematically killing Jews and, among others, alleged Soviet partisans behind the Wehrmacht lines. After the war several Einsatzkommando officers were tried, in the Einsatzgruppen trial, convicted of war crimes and hanged. Brigadeführer was a paramilitary rank of the Nazi Party (NSDAP) that was used between the years of 1932 to 1945. It was mainly known for its use as an SS rank. As an SA rank, it was used after briefly being known as Untergruppenführer in late 1929 and 1930. 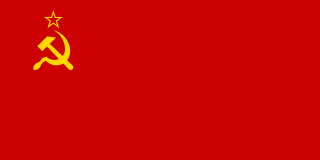 The Soviet Union, officially the Union of Soviet Socialist Republics (USSR), was a socialist state in Eurasia that existed from 30 December 1922 to 26 December 1991. Nominally a union of multiple national Soviet republics, its government and economy were highly centralized. The country was a one-party state, governed by the Communist Party with Moscow as its capital in its largest republic, the Russian Soviet Federative Socialist Republic. Other major urban centres were Leningrad, Kiev, Minsk, Alma-Ata, and Novosibirsk. As can be seen in contemporary Nazi newsreels, part of a documentation campaign to create the image that the Holocaust in the Baltics was a local, and not Nazi-directed activity, the Arajs Kommando figured prominently in the burning of Riga's Great (Choral) Synagogue on 4 July 1941. Commemoration of this event has been chosen for marking Holocaust Memorial Day in present-day Latvia. The burning of the Riga synagogues occurred in 1941, during the first days of the World War II Nazi German occupation of the city of Riga, the capital and largest city in the country of Latvia. Many Jews confined in the synagogues died in the fires, and many other anti-Semitic measures were launched at the same time, ultimately followed by the murder of the vast majority of the Jews of Latvia. The unit numbered about 300–500 men during the period that it participated in the killing of the Latvian Jewish population, and reached up to 1,500 members at its peak at the height of its involvement in anti-partisan operations in 1942. In the final phases of the war, the unit was disbanded and its personnel transferred to the Latvian Legion. The Latvian Legion was a formation of the German Waffen-SS during World War II. Created in 1943, it consisted primarily of ethnic Latvian personnel. The legion consisted of two divisions of the Waffen-SS: the 15th Waffen Grenadier Division of the SS, and the 19th Waffen Grenadier Division of the SS. The 15th Division was administratively subordinated to the VI SS Corps, but operationally it was in reserve or at the disposal of the XXXXIII Army Corps, 16th Army, Army Group North. The 19th Division held out in the Courland Pocket until May 1945, the close of World War II, when it was among the last of Nazi Germany's forces to surrender. After successfully hiding in West Germany for several decades after the war, Viktors Arājs was eventually arrested, tried, and imprisoned for his crimes. West Germany is the common English name for the Federal Republic of Germany in the period between its creation on 23 May 1949 and German reunification on 3 October 1990. During this Cold War era, NATO-aligned West Germany and Warsaw Pact-aligned East Germany were divided by the Inner German border. After 1961 West Berlin was physically separated from East Berlin as well as from East Germany by the Berlin Wall. This situation ended when East Germany was dissolved and split into five states, which then joined the ten states of the Federal Republic of Germany along with the reunified city-state of Berlin. With the reunification of West and East Germany, the Federal Republic of Germany, enlarged now to sixteen states, became known simply as "Germany". This period is referred to as the Bonn Republic by historians, alluding to the interwar Weimar Republic and the post-reunification Berlin Republic. Rudolf Lange was a German SS functionary and police official during the Nazi era. He served as commander in the Sicherheitsdienst (SD) and all RSHA personnel in Riga, Latvia. He attended the Wannsee Conference, and was largely responsible for implementing the murder of Latvia's Jewish population. Einsatzgruppe A killed over 250,000 people in less than six months. Rumbula is a neighbourhood of Riga located in the Latgale Suburb, on the right bank of the Daugava river. With a population of about 368 inhabitants in 2010, Rumbula's territory covers 6.978 km2 (2.694 sq mi). Herberts Cukurs was a Latvian aviator. He was a member of the Arajs Kommando, which was involved in the mass murder of Latvian Jews as part of the Holocaust. He never stood trial, though there are eyewitness accounts linking Cukurs to war crimes. He was assassinated by operatives of the Israeli intelligence service (Mossad) in 1965. The Mossad agent "Künzle", who killed Cukurs, and the journalist Gad Shimron wrote a book, The Execution of the Hangman of Riga in which they called Cukurs the "Butcher of Riga", and the term was later picked up by several sources. Eduard Roschmann was an Austrian Nazi SS-Obersturmführer and commandant of the Riga ghetto during 1943. He was responsible for numerous murders and other atrocities. As a result of a fictionalised portrayal in the novel The Odessa File by Frederick Forsyth and its subsequent film adaptation, Roschmann came to be known as the "Butcher of Riga". The occupation of Latvia by Nazi Germany was completed on July 10, 1941 by Germany's armed forces. Latvia became a part of Nazi Germany's Reichskommissariat Ostland—the Province General of Latvia. Anyone not racially acceptable or who opposed the German occupation, as well as those who had cooperated with the Soviet Union, were killed or sent to concentration camps in accordance with the Nazi Generalplan Ost. Konrāds Kalējs was a Latvian soldier who was a Nazi collaborator and an alleged war criminal during World War II. He gained notoriety for evading calls for his prosecution across four countries, more than once under the threat of deportation. The Rumbula massacre is a collective term for incidents on November 30 and December 8, 1941 in which about 25,000 Jews were killed in or on the way to Rumbula forest near Riga, Latvia, during the Holocaust. Except for the Babi Yar massacre in Ukraine, this was the biggest two-day Holocaust atrocity until the operation of the death camps. About 24,000 of the victims were Latvian Jews from the Riga Ghetto and approximately 1,000 were German Jews transported to the forest by train. The Rumbula massacre was carried out by the Nazi Einsatzgruppe A with the help of local collaborators of the Arajs Kommando, with support from other such Latvian auxiliaries. In charge of the operation was Höherer SS und Polizeiführer Friedrich Jeckeln, who had previously overseen similar massacres in Ukraine. Rudolf Lange, who later participated in the Wannsee Conference, also took part in organising the massacre. Some of the accusations against Latvian Herberts Cukurs are related to the clearing of the Riga Ghetto by the Arajs Kommando. Unlike Arājs, Cukurs were acquitted in 2019. The Rumbula killings, together with many others, formed the basis of the post-World War II Einsatzgruppen trial where a number of Einsatzgruppen commanders were found guilty of crimes against humanity. The Holocaust in Latvia refers to the war crimes of Nazis and Nazi collaborators victimizing Jews during the occupation of Latvia by Nazi Germany. RollkommandoHamann was a small mobile unit that committed mass murders of Lithuanian Jews in the countryside in July–October 1941, with a death toll of at least 60,000 Jews. The unit was also responsible for a large number of murders in Latvia from July through August, 1941. At the end of 1941 the destruction of Lithuanian Jewry was effectively accomplished by the Rollkommando in the countryside, by the Ypatingasis būrys in the Ponary massacre, and by the Tautinio Darbo Apsaugos Batalionas in the Ninth Fort in Kaunas. In about six months an estimated 80% of all Lithuanian Jews were killed. The remaining few were spared for use as a labor force and concentrated in urban ghettos, mainly the Vilna and Kaunas Ghettos. Following the occupation of Latvia by Nazi Germany in the summer of 1941, the Daugavpils Ghetto was established in an old fortress near Daugavpils. Daugavpils is the second largest city in Latvia and the principal city of the Latgalia region. Daugavpils was located in southeastern Latvia on the Daugava River. The city was militarily important as a major road and railway junction. Before World War II, Daugavpils was the center of a thriving Jewish community in the Latgale region and one of the most important centers of Jewish culture in eastern Europe. Over the course of the German occupation of Latvia, the vast majority of the Jews of Latgale were killed as a result of the Nazi extermination policy. The Jelgava massacres were the killing of the Jewish population of the city of Jelgava, Latvia that occurred in the second half of July or in early August 1941. The murders were carried out by German police units under the command of Alfred Becu, with a significant contribution by Latvian auxiliary police organized by Mārtiņš Vagulāns. Wolfgang Kügler was an SS-Untersturmführer and a Teilkommandoführer for Einsatzkommando 2, a subdivision of Einsatzgruppe A. Following World War II, he was tried and found guilty of war crimes before a court in West Germany. His sentence was reported to have been 8 months in prison and a fine. The most serious charge against him was that he had organized and been a commandter at the massacre of about 2,700 Jews, mostly women and children, on the beach at Liepāja, Latvia. Kügler claimed he was absent on leave in Germany when these murders occurred. The Liepāja massacres were a series of mass executions, many public or semi-public, in and near the city of Liepāja, on the west coast of Latvia in 1941 after the German occupation of Latvia. The main perpetrators were detachments of the Einsatzgruppen, the Sicherheitsdienst or SD, the Ordnungspolizei, or ORPO, and Latvian auxiliary police and militia forces. Wehrmacht and German naval forces participated in the shootings. In addition to Jews, the Germans and their Latvian collaborators also killed Gypsies, communists, the mentally ill and so-called "hostages". In contrast to most other Holocaust murders in Latvia, the killings at Liepāja were done in open places. About 5,000 of the 5,700 Jews trapped in Liepāja were shot, most of them in 1941. The killings occurred at a variety of places within and outside of the city, including Rainis Park in the city center, and areas near the harbor, the Olympic Stadium, and the lighthouse. The largest massacre, of 2,731 Jews and 23 communists, occurred in the dunes surrounding the town of Šķēde, north of the city center. This massacre, which was perpetrated on a disused Latvian Army training ground, was conducted by German and collaborator forces from December 15 to 17, 1941. More is known about the killing of the Jews of Liepāja than in any other city in Latvia except for Riga. The Dünamünde Action was an operation launched by the Nazi German occupying force and local collaborationists in Biķernieki forest, near Riga, Latvia. Its objective was to execute Jews who had recently been deported to Latvia from Germany, Austria, Bohemia and Moravia. These murders are sometimes separated into the First Dünamünde Action, occurring on March 15, 1942, and the Second Dünamünde Action on March 26, 1942. About 1,900 people were killed in the first action and 1,840 in the second. The victims were lured to their deaths by a false promise that they would receive easier work at a (non-existent) resettlement facility near a former neighbourhood in Latvia called Daugavgrīva (Dünamünde). Rather than being transported to a new facility, they were trucked to woods north of Riga, shot, and buried in previously dug mass graves. The elderly, the sick and children predominated among the victims. The Riga Ghetto was a small area in Maskavas Forštate, a neighborhood of Riga, Latvia, designated by the Nazis where Jews from Latvia, and later from Germany, were forced to live during World War II. On October 25, 1941, the Nazis relocated all Jews from Riga and the vicinity to the ghetto while the non-Jewish inhabitants were evicted. Most of the Latvian Jews were killed on November 30 and December 8, 1941 in the Rumbula massacre. The Nazis transported a large number of German Jews to the ghetto; most of them were later killed in massacres. Salaspils concentration camp was established at the end of 1941 at a point 18 km (11 mi) southeast of Riga (Latvia). The Nazi bureaucracy drew distinctions between different types of camps. Officially, Salaspils was a Police Prison and Work Education Camp. It was also known as camp Kurtenhof after the German name for the city of Salaspils. Planning for the development of the camp and its prisoner structure changed several times. In 1943, Heinrich Himmler briefly considered converting the camp into an official concentration camp (Konzentrationslager), which would have formally subordinated the camp to the National Security Main Office, but nothing came of this. The camp has had a lasting legacy in Latvian and Russian culture due to the severity of the treatment at the camp, especially with regards to children. ↑ Breitman, Richard (Sep 1991). "Himmler and the 'Terrible Secret' among the Executioners". Journal of Contemporary History. 26 (3/4): 431–451. doi:10.1177/002200949102600305. JSTOR 260654. ↑ Angrick, Andrej; Klein, Peter (2009). 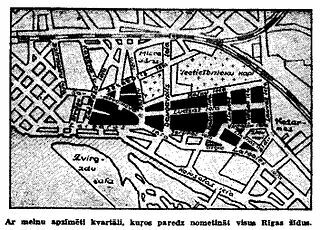 The "Final Solution" in Riga: Exploitation and Annihilation, 1941-1944. Volume 14 of Studies on War and Genocide. pp. 65–70. ISBN 9781845456085. ↑ Andrew Ezergailis (1996). The Holocaust in Latvia, 1941-1944. Historical Institute of Latvia, Riga ; United States Holocaust Memorial Museum; Washington, DC. OCLC 33403580. ↑ Strods, Heinrihs (2000). "Salaspils koncentrācijas nometne (1944. gada oktobris – 1944. gada septembris". Yearbook of the Occupation Museum of Latvia (in Latvian). 2000: 87–153. ISSN 1407-6330. ↑ "Konrad Kalejs: Target for Nazi hunters". BBC News. 2000-01-03. 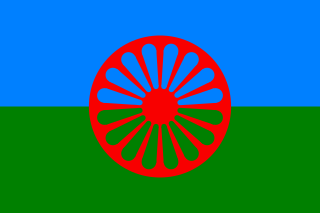 Wikimedia Commons has media related to The Holocaust in Latvia . Lumans, Valdis O. (2006). Latvia in World War II. World War II—The Global, Human, and Ethical Dimension 11. New York: Fordham University Press. ISBN 978-0-8232-2627-6. OCLC 64595899. Angrick, Andrej; Klein, Peter (2006). Die "Endlösung" in Riga: Ausbeutung und Vernichtung 1941–1944 (in German). Darmstadt: Wissenschaftliche Buchgesellschaft. ISBN 978-3-534-19149-9. OCLC 69983159.